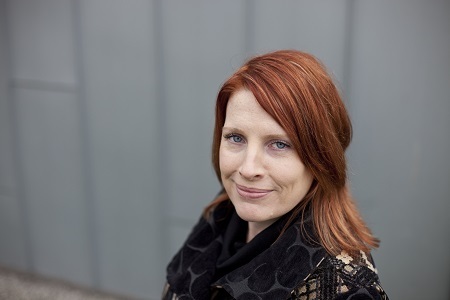 KATE HOOPER talks with XpoNorth director Amanda Millen…. With an ambitious outlook, a stoic determination to make things happen and a strong set of values rooted in her Highland upbringing, it’s no wonder that Amanda Millen is known for saying it like it is. “’No’ is never going to be an answer that I can accept if I know that there is a better option,” she explains (somewhat emphatically). Amanda puts her determined nature and no-nonsense approach down to a combination of her experience in the film and TV industry with her passion for the Highlands and Islands, and a desire to support people living and working in the area. Which is just as well, because her current professional roles really do require someone who will ‘go the extra mile’ to make things work, in all senses of the phrase. With bases in Inverness, Roy Bridge and Uist, and further ‘homes from home’ across the islands, Amanda paints a picture of modern Highland working in which distance is no barrier to getting the job done. Amanda is the director of Xpo North, ‘Scotland’s leading creative industries festival’ – an annual two-day networking event held in Inverness, which attracts over 2,000 delegates a year and is attended by people from all over the world. She also leads ScreenHI, which is a not-for-profit organisation providing job training and networking opportunities for people working in the screen and broadcast sectors in the region. Her CV is lengthy and varied. She began her career at STV, where she worked on ‘Take the High Road’ and ‘Fun House’. She was production executive at the BBC on drama programmes such as ‘River City’, ‘Sea of Souls’ and ‘Waterloo Road’. 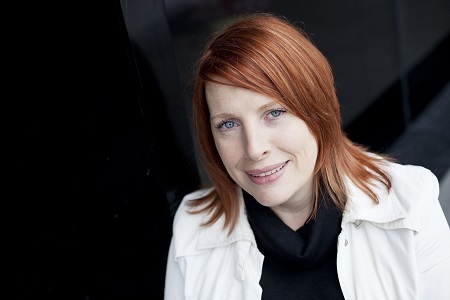 Before and after the BBC, Amanda worked as freelance producer and executive Producer. She has also worked on a number of feature films including ‘Ratcatcher’ and ‘Afterlife’, as well as short films. Her work now sees her travel all over the Highlands and Islands, as well as internationally, to support creative businesses. Far from grumbling about it, Amanda sees this as an essential way of working to drive opportunities in the area while building relationships with people in communities. The latter is especially important to her. When you speak to Amanda in more detail, it becomes apparent that under her frank and straight-up exterior she really does care about putting people first. “When I first started in this type of role over 10 years ago I was on secondment from the BBC to Highlands and Islands Enterprise. I was asked to develop a strategy for the screen and broadcast industries for the region, which required a great understanding of how people live and work in the area. “We’d send out newsletters and emails, but there is just no replica for real face-to-face meetings. What I learned was that the only way to communicate with people is by communicating with them! So I gathered as many lists of people who were interested in film and TV as I could, and whether they were in Campbeltown or Back or Kirkwall I went to visit them. “I grew up in Fort William but we always had my nana’s croft at Roy Bridge. We spent all our summers there – we grew up there, really. We spent hours fishing and running up and down the hills and we knew all our neighbours really well. “It’s that idea of being so fundamentally linked to a place that affects a great deal about how I feel about the Highlands and Islands now, and about the people here and the opportunities that we get as people who live here. ON A PERSONAL LEVEL, Amanda says she strives to develop her own skills as well as those of the people she works with. A common theme running through both her professional and personal life is her love of the Gaelic language, and of languages in general. She has studied French, German, Latin, Czech and Russian. It is in Gaelic that she finds herself most at home, however, and she is deeply passionate about promoting the language while striving to improve her oral skills. “I was brought up with my nana speaking Gaelic. It is such a beautiful language, and I love to hear people speak it. What drives my Gaelic is the notion that we’ve got our own language but not enough people use it. So, of course I’m going to speak it! And this notion of ‘home’ comes through several times in our discussion as it appears that Amanda has found home in numerous communities across the region. Skye is especially dear to her. Amanda spent a number of years living in Sleat where she attended Sabhal Mòr Ostaig. She studied for an HNC in communication, which she explains was the first Gaelic immersion course at Sabhal Mòr, followed by a diploma in broadcasting. “This part of the world is very much part of my heart. I go back to Skye a lot and I know that if I was stuck on the south of Skye I would have no problems. I still have a lot of very good friends there. As our conversation continues it becomes very clear just how significant Gaelic is to Amanda. She has been a member of the Glasgow Gaelic Musical Association since 1988 and regularly takes part in competitions including the National Mod. The language also resonates through her working life. IF THERE IS another theme that has come across through the interview, it has been Amanda’s tenacious attitude to get on with things. This is an attitude that she has had to apply to her personal life, too, because five years ago Amanda was diagnosed with multiple sclerosis. “I woke up one Sunday morning and I felt like I was a block of ice,” she explains, “which was odd because it was July and really warm. When I stood up my feet weren’t just freezing, they were solid. Throughout that day a feeling of being unable to do anything crept up my legs and into my back. I felt like I was in a block of cement. It was just bizarre. Since her diagnosis, Amanda has spent a great deal of time researching the condition and applies her own learnings to her treatment, as well as the advice offered by the NHS. Despite being challenged by the condition at times, Amanda is determined that it will not stop her. “Sometimes when I bend my head I feel like I’m getting an electric shock across my body. Sometimes I lose sight in my right eye for a day or two. My balance is also affected. If I’m walking at night I need to hold on to someone as I need light to balance. “I’m finishing up as the director of both ScreenHI and XpoNorth this year,” she explains. “So the future is unwritten! I’m going to take some time out and do up the new house I’ve just bought, but then who knows. I think I might be unemployable at the moment. I’ve had such free rein to create some amazing opportunities across the Highlands and Islands so any new opportunities have a lot to live up to.